Hello and thank you for this site. I have just started with Home automation, And I'm very pleased with what it can do!!! 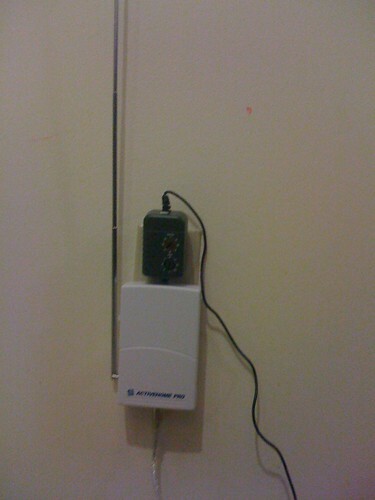 and thanks to Bill for BVC I can talk to the walls as My wife say's. and to Dave_x10_L for his video's, and to Tuicemen software. over the next few weeks I will post photos and video as well. I have a website that I will document my home automation set up.. 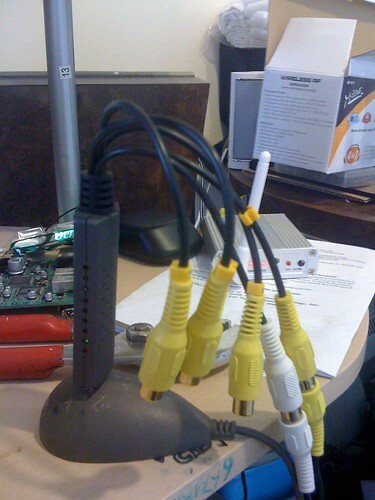 I also have 3 USB cams and 2 2.5 ghz cameras and webcam xp 5 for my Camera's. I will be getting cameras from x10 and maybe off ebay as well. Hello and thank you for this site. .......... Stay tuned for photos. Very impressive!!! And... for someone so new to home automation.. a real accomplishment. It was and honor to be mentioned along with Bill (of wgjohns.com) and Tuicemen. Looking forward to those photos! ok So here is more stuff I got. My set up is simple as I'm new to X10, but over the next year I'm sure it will grow. I live in a 2 bedroom basement suite so I could not do to much. But what I wanted to do was have some sort of security, and was going to go with a pro installation and the $30.00 plus monitoring fee, but with two babies and putting the wife through nursing college, I'm a bit strapped. So my quest to find something I could afford and do my self was a must! I remember x10 from all those pop-ups a few years back but never thought about them, until I was directed there from a search, and then I saw the home automation stuff and I was hooked. I bought the ActiveHome Professional Computer Interface and USB Cable (CM15A) with all software. I then got lucky and found that our local Source aka "radio shack" had a few Lamp Module's and a few Appliance Module, and 2 X10 Mini Controller. 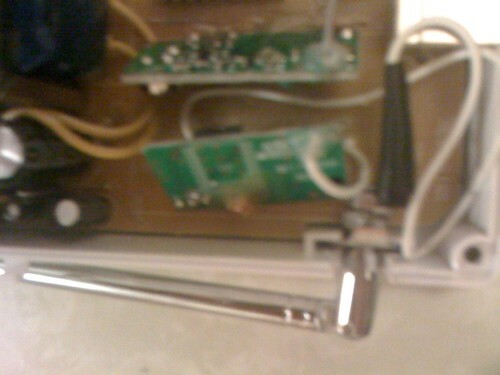 I first plugged in the lamp Module's in to the different lamps and one Mini controller near the sofa. the other one went into the master bedroom. So this is what each room has. The CM15A controls the lights in the morning coming on at 6:45 Am and off at 8:00am. 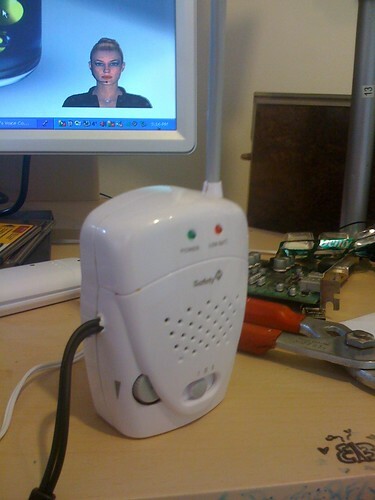 the Appliance Module is connects to a non x10 wireless camera over the crib. the DS7000 is in bedroom and connected to phone line. 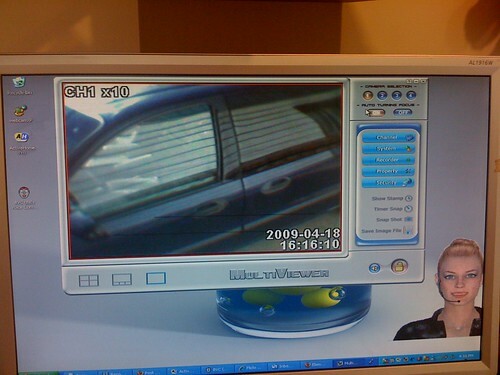 the video Receiver can see all camera's in the middle of the night or during thw day. As the kids cant reach the light switch the motion sensor catches their movement and turns on after 10 min of no movement it turns off. 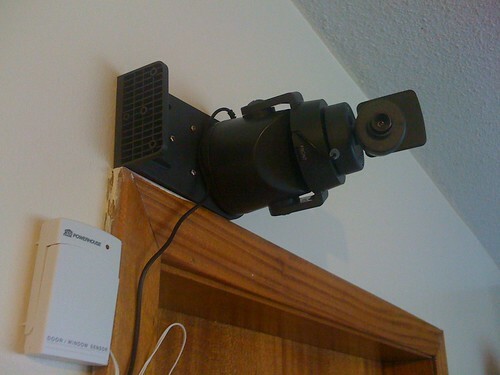 the Appliance Module is connects to a non x10 wireless camera, monitoring the kids room. this is set to A for the remotes to turn off light for master room and kids room. The Cm15A is set to turn off lights after 10 min of no activity. I also use BVC to inform us when the lights go On and off, (kids love to play in the toilet) we can monitor their activity. plus going to washroom in the middle of the night, the light turns on no fumbling in the night. 1 Pan & Tilt Base with cam. Both doors trigger Macro's that tell cam to start video and to take snapshots and email them. BVC also informs that the door has been open. I also have a email sent informing me the door has been opened. Eagle Eye also when activated takes a snapshot. the computer is in the kitchen as it is in the middle of the house. If computer is in living room I cant reach the whole household. Lamp's are all controlled from Cm15A and Mini Controller, and BVC using voice commands I can turn off lights. 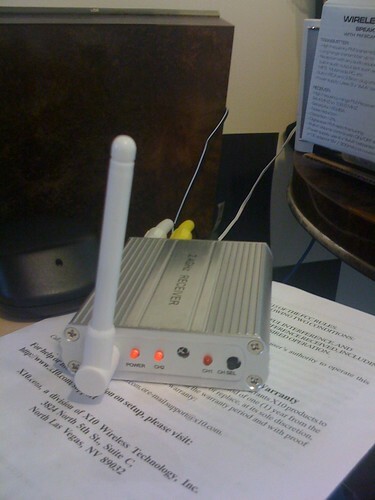 the wireless router is on the Appliance Module. So that Is my x10 home automation security system as it stands today. A really nice setup for being a newbie! I'm new to X10, but over the next year I'm sure it will grow. And Your not the only one that gets accused of talking to the walls! some photos of my set up with mods. DVR I got from china for 8 dollars including shipping and software. Color Camera On a Ninja Base with door censor. 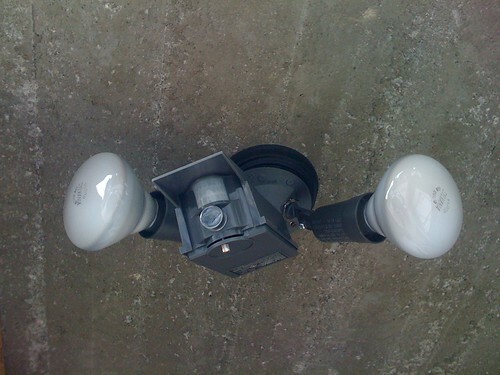 Flood cam with a base hack, I needed some more room so I hacked up the old base on the old lamp. 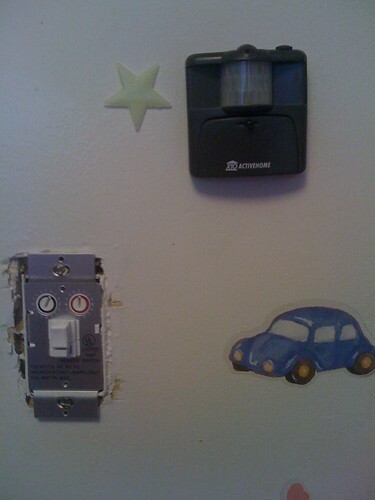 X10 Light Switch and a Motion sensor. 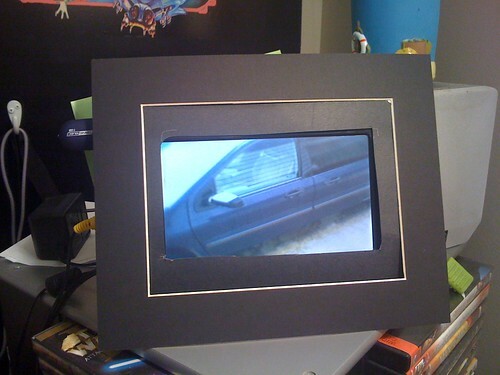 I added a portable RCA DVD 7 inch screen to my x10 surveillance system I have two one in living room and other in bedroom. makes for better viewing as I don't need to have to go through the TV's in the house. would Like to mount one in to or near the front door. Have you made any new additions or mods? What your long term assessment thus far of the systems you have? Yes impressive is the word. I am glad you posted... I don't remember seeing these pictures. astrothug has created a fine setup. I would hope he will take part in helping put S.A.R.A. into action. Very cool. Since my last post.. on this thread... I've added complete Occupancy Sensing. In part by simply adding a cheapie USB dongle and BlueWatch Software (by Tuicemen).... very cool. Tuicemen just asked the other day for input on what we are doing with his new software. I've been working on ideas... and have even reintroduced the Automated Chair (now with a tilt switch). And over at Bill's own forum we've been chatting/posting about triggering commands by replying to BVC questions with just a Yes or No. Bill has even added a new "silent attention phrase" that can be triggered as part of a macro. So saying "computer" (or some other attention phrase) can be eliminated in some macros. With the software writting guys in on this.... it is limited... only by our imaginations.